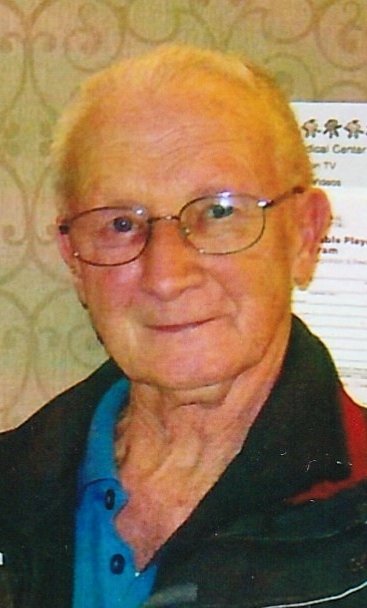 Ronald H. Harris, age 85, of Millersburg, Ohio passed away peacefully Wednesday, December 5, 2018 at his home surrounded by family. Funeral services will be 1 p.m. Saturday at Killbuck Valley Christian Church, Killbuck, Ohio with pastor Joe Milazzo officiating. Burial will take place at Killbuck Cemetery, where military rites will be conducted by the Killbuck VFW. Friends may call two hours prior to the service on Saturday at the church. Those wishing to share a memory or make online condolences may do so by www.alexanderfhinc.com. Family suggests memorial contributions be made to LifeCare Hospice or to the Killbuck Valley Christian Church. Ronald was born June 11, 1933 in Flushing, Ohio and was the son of Edward Howard and Gladys Rose (King) Harris. On June 20, 1969 he married Betty E. Snow, she survives. Ronald worked 40 years for Rice and Chadwick Rubber Company in Killbuck, retiring in 1995. He was a member of the Killbuck Valley Christian Church. Ronald was a veteran of the US Army during the Korean conflict. He was a member of the Killbuck VFW Post 7079. Ronald enjoyed golfing, fishing, doing yard work and he loved watching his grandchildren play sports. Surviving in addition to his wife of 49 years are three children, Randy (Laura) Harris of Killbuck, Renee Harris of Millersburg, and Ron Harris Jr.. of Millersburg; five grandchildren, Corby, Brant, Rhet, Damon, and Julia Harris; four great-grandchildren, Peyton, Kendall, Teagan, and Tucker; and one brother, Chuck (Judy) Harris of Coshocton. He was preceded in death by his parents; a sister, Yvonne Hoxworth; a brother, Tom "Big T" Harris; and a son, Tony Allen Harris.